Are you ready to join the Next Generation of Bartenders in the Bartending Capital of the World - Las Vegas? The city of ultra bars and ultra fun times. Vegas is the Disneyland for Adults! It’s the city that’s known for extreme pampering, fine cuisine, entertainment and the hottest ultra nightclubs in the world. Luckily for you, all of these create a need for bartenders. Lets face it, not many job opportunities in today's world give you a chance to have alot of fun and provide the same salary oportunities as Corporate America. The hospitality industry is growing in leaps and bounds, and the need for trained Professional Bartenders is skyrocketing. Whether you are interested in a fast-paced NightClub, Hotel Casino, an elegent Fine Dinning establishement or a neighborhood Sports Bar & Grill, National Bartenders School can start you on the path to an exciting New Career! 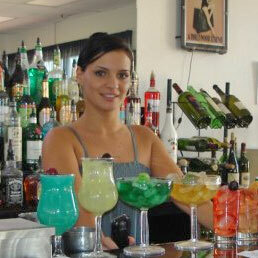 National Bartenders School has schools from Coast to Coast and has been in Vegas longer than any other school in town. 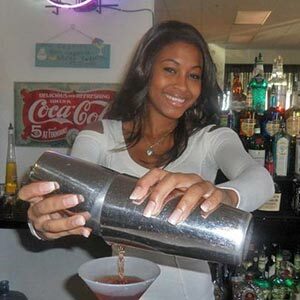 NBS has been Training Bartenders and Cocktail Waitress’s Nationwide since 1973. Our Graduates are our product! We care about you and your success that is why our program is 60 hours minimum. You don’t leave until you are Confident and Competent in your skills. NO EXTRA CHARGE! You are about to make a giant step toward changing your Life! It is our pleasure to be a part of that change, we care. That is also why you have a Lifetime Membership to be a part of the National Bartenders School family. Life-Time Job Placement Assistance Nation-Wide, Life-Time Refresher Course's Free. You are invited to come down and check out our Cocktail Lounge and see where all your training will take place. Our Cocktail Lounge is located on the South West side of Town. @ 5463 S. Rainbow Blvd. Suite B-2, and we are just 1/2 mile from the 215, very easy accesses from anywhere in Vegas! We are directly across the street from Spring Valley Hospital on Rainbow Blvd., between Tropicana and Russell Rd in the Rainbow Square Shopping Center.